“We’re going to get it fixed. And we got the guy to do it, to start, to help.” Gord Downie was speaking of Prime Minister Justin Trudeau when he issued his call to address the situation of Northern indigenous people at the Tragically Hip’s final tour concert in Kingston. In a crucial sense, though, he could have been referring to himself. Action is indeed required—some of it of the kind only political leaders can take. But reconciliation also demands a subtler process that gets to the core of who we are as a nation. And for this we “got” the guy. Song by song these past thirty years, Gord Downie has evoked a symbolic landscape where reconciliation can occur. “Jacques Cartier, right this way.” Canadian historians have long sought to unsettle the settler within. Our cherished understanding of our country as a benign, welcoming nation obscures hard truths about our history with indigenous peoples. But how many Canadians listen to historians, anyway? How many listen to the Tragically Hip? Back in 1992, Looking for a Place to Happen stated the same truths in hummable, ironic form, even from the perspective of the people who’ve been here “since God who knows.” Decolonization by stealth. “Sundown in the Paris of the Prairies.” The country Gord Downie describes in Wheat Kings is capable of acts that cry out to the skies. Indigenous women could indeed go missing here. Starlight tours are possible. And in other songs—whether of doomed shipmen or lost hockey players, reluctant prostitutes or Rocky Mountain motels—the narratives are similar: by turns seamy and magnificent, violent and sensuous, always complex. 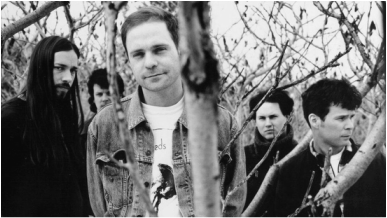 For the Tragically Hip’s Canada never was the benign nation. Though capable of redemption, it was always a darker place. This too is a condition of change. Only in such a country can we even realize, much less address and transcend our injustices—whether they occur on an institutional or individual scale. Which brings us to that memorable appeal at the final concert in Kingston. Maclean's magazine reports that it left indigenous leaders “stunned and grateful,” as though they had long ago written off the prospect of a national celebrity drawing attention to their issues. Yet it was only Downie’s latest public appeal. From his 1995 recognition that the band would be playing on traditional Musqueam territory to the 2012 concert at a high school gym in Fort Albany, his gestures have long made clear that the guy “gets it,” as the AFN national chief Perry Bellegarde put it last month. He gets it—and we got him. We got a poet and myth-maker in the best tradition, at the right time. We got someone who has left our country’s symbolic terrain in better shape than he found it, and has managed to bring millions of Canadians at least part way along with him. Now he’s passed the baton to us. It won’t be easy to fix things with indigenous peoples. It will take investments and accords, long overdue legal and policy reform. But crucial as such measures are, they should not obscure the work required on the bedrock of our national stories. That work needs poets and storytellers to evoke a country we are not used to inhabiting, but always have: one worthy of patriotism but also flawed, incomplete—a country where reconciliation with first peoples can and should happen. And in evoking this country, they will not need to start fresh. Thanks for the start, Gord. Thanks for the help. Jodi Bruhn is the director of Stratéjuste Canada. Her first and favourite Tragically Hip concert was in 1988, at the Portage Village Inn bar in Winnipeg.